“Reti pesanti e reti leggere: due mondi a confronto”, Flavio Trombetta, Chiara. 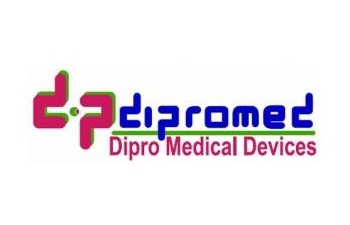 DIPROMED is active from 1978 in the medical devices sector, and has worked since then in close relationship with surgeons and bioengineers contributing to the research, development and realization of innovative implantable products. On the basis of this experience, DIPROMED has started to produce directly its own medical devices. DIPROMED is established on an effective quality management system, able to guarantee products' performances maintenance and to improve them continuously. The quality system for the design, production and distribution meets the standard UNI EN ISO 13485:2004. The devices bear the CE Mark released as per Annex II of European Council Directive 93/42 CEE. Product's production process certification guarantees a comprehensive and accurate inspection on each step, parameter and method related to the realization of the devices. This attention, the tight controls performed in line and on the output, together with a strong passion for excellence, enables the creation of an excellent quality finished product. Quality management system allows an effective monitoring and check plan on all products put on the market as well as the management of eventual claims and/or recalls from the market. In the research field DIPROMED cooperates with external collaborators and Italian Universities, paying particular attention to technical competencies, scientific works and strengthening the partnership between the users of the product and bioengineers. DIPROMED’s own Research & Development team implements the project, the development and the realization of hi-tech products that guarantee maximum comfort and safety to the patient as well as a great ease of use for the operator. DIPROMED is placed internationally through its own and exclusive sales network. DIPROMED produces meshes for treatment of hernia, incisional hernia, abdominal wall, pelvic floor defects and female and male urinary incontinence (IUS). DIPROMED is also present in the in-vitro diagnostic device sector, as the producer of Biotransport. Products: medical devices for inguinal and femoral hernia, prolapse, incontinence and abdominal wall defects.